Admitted to practice in Missouri, Illinois and Iowa and before the United States District Courts for Missouri (Eastern and Western), Illinois (Southern and Northern), the Southern District of Indiana and U.S. Court of Appeals, 7th and 8th Circuits. Matthew Robinson is a Principal of the Firm concentrating in the practice of labor and employment law, with an emphasis on litigation. Matt has represented clients in over 125 employment-related lawsuits in federal and state courts. Matt often handles more complex lawsuits such as prosecuting and defending trade secret, non-compete, and non-solicitation lawsuits and collective action lawsuits under the Fair Labor Standards Act. 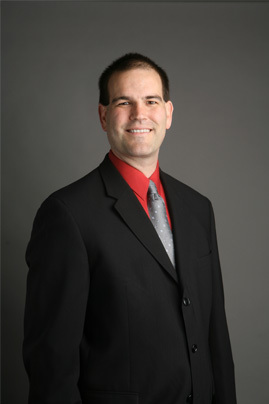 Matt also regularly works with clients concerning labor relations matters. Matt negotiates collective bargaining agreements, arbitrates grievances, and advises clients concerning labor-management issues. Matt also routinely advises construction companies concerning issues relating to prevailing wage laws for Missouri, Illinois, and Federal projects. Matt continually navigates federal and state employment laws, including Title VII of the Civil Rights Act, the Age Discrimination in Employment Act, the Americans With Disabilities Act, the Family and Medical Leave Act, the Fair Labor Standards Act, the Uniformed Services Employment and Reemployment Rights Act, the Worker Adjustment and Retraining Act, the Missouri Uniform Trade Secrets Act, the Missouri Wage, Hour, and Dismissal Act, the Illinois Human Rights Act, the Illinois Minimum Wage Law, and the Illinois Wage Payment and Collection Act.